When new changes occur to IRCC’s Guidelines and programs it can take several forms and be communicated to applicants in several ways. Of those communication methods, we see most often Program Delivery Updates, Notices, and new Operational Bulletins. Legislative changes are often announced through Ministerial Instruction and the GOC’s Canada Gazette. Most of these changes are relatively well-documented and updated quite quickly after the change is announced. On a side note, I would suggest the Program Delivery Updates could be a little more clearer, as even for myself, who read them religiously. Some of the changes IRCC introduced are hard to track in the text. The one major gap that IRCC has is in updating it’s new instruction guides, new visa-office specific guides, and new forms. Recently, we’ve seen several of these changes occur without corresponding changes to the website indicating that the document has been updated. In the case of some of the forms, they have even been backdated to reflect when the document was originally created rather than when it was made public. All of this creates confusion, and for IRCC likely more litigation. 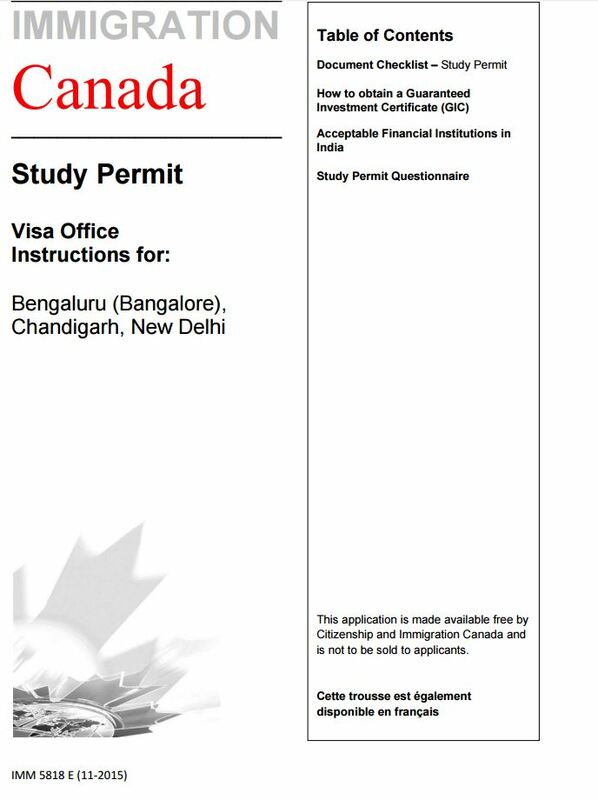 1) The Document Checklist (IMM 5488) for Work Permit Outside Canada is dated February 2015 as per CIC’s website. The Actual Document is dated November 2015. In reality, the document was uploaded sometime late December 2015/early January 2016. The CIC Website displays the most recent document as being September 2015. For Applicants, the risk with submitting outdated forms is that the Applicants may be refused and or returned for incompleteness. This is particularly true when the document checklist or forms contain new fields that are not in the old versions. CIC may offer some sort of “grace period” but this is solely discretionary and as far as I am aware there is no CIC policy on the reasonable transition period for which they will accept old versions in lieu of the updated versions. I understand that IRCC is working on several strategies in support of digitizing their program integrity and integrating their various networks. With all these changes sure to occur there needs to be some adequate (publicly available) tracking of all these changes. In fact, anytime a webpage or form changes, it should trigger an update. This page can also serve as an amalgamation of all the changes occurring across all of IRCC’s platforms. This is important for several reasons. In the post-Dunsmuir reasonableness era, applicants are more hardpressed to try and show an Officer’s decision was made unreasonably on the merits, particularly when they are owed deference and their judgment falls within the reasonable realm of possibilities. Courts are still eager to point out situations where they may have made different decisions had they assessed the case, but maintain their role is not to readjudicate the decision but rather review the Officer’s decision-making process. Procedural fairness issues, which (in most contexts) do not require that the Court provide any deference to the decision-maker are stronger in the context of litigation. I believe you will see increasingly applicants attempting to show that the IRCC guidelines created legitimate expectations (i.e. that IRCC;s website showed the latest updated version that the applicant had legitimate reason to rely on). For a good case about the doctrine of legitimate expectations read Lebel J’s unanimous judgment in Agraia v. Canada (Minister of Public Safety and Emergency Preparedness) 2013 FC. Also, several of recent CIC/IRCC Guidlines, the IP 8 – Spouse or Common Law in Canada Class at 17.4 (pg 62) and OB-265A – January 8, 2016 Email Communication with Clients, seem to contemplate an increase of Reconsideration Requests from Applicants with refused applications. This may be a broader trend that IRCC is taking towards reducing the high-cost of Federal Court litigation. Furthermore, there is case law on the procedural duty of fairness owed to applicants to consider new documents where the change in requirements does not arise directly from legislation or regulations and instead a product of IRCC policy. In Noor v. Canada (Minister of Citizenship and Immigration) 2011 FC 308, an Indian Permanent Resident applicant was refused for failing to include an item in the Visa-Office specific instructions for permanent residence applications from India. 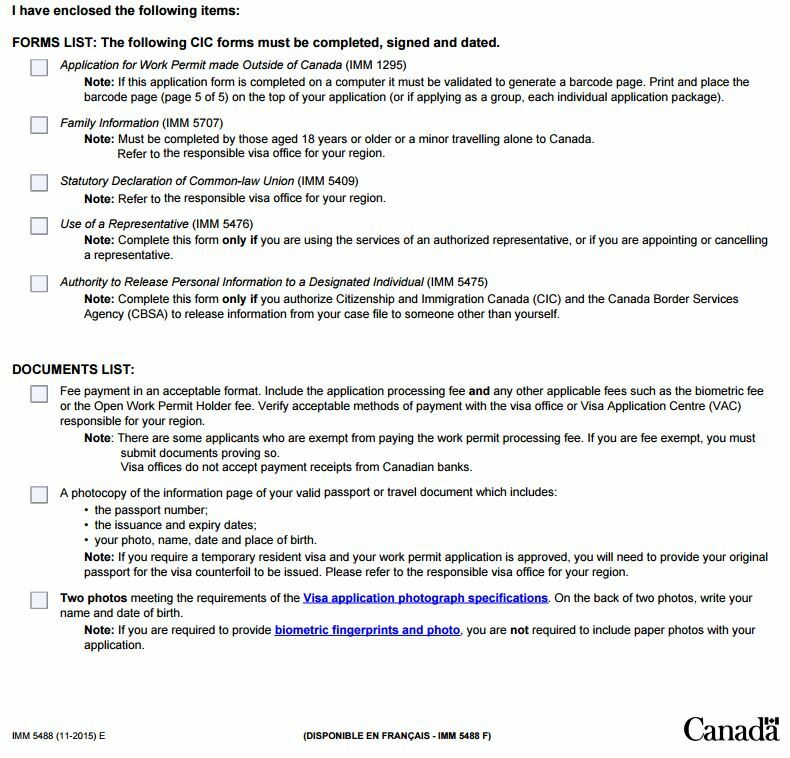 The instruction guide had changed in the middle of application processing and asides from the new document having changed dates, there was no indication provided by IRCC to the Applicant of the change. B. Was there a breach of procedural fairness? 30 The Applicant notes that his own failure to submit the correct documents on his original application resulted from the very recent changes to the Visa Office-Specific Instructions posted online. He notes that this was a dramatic and important change, not widely publicized but rather buried in an otherwise unmodified instruction kit. He further points out that the Visa Officer was clearly aware that he was using the old kit, as he attached a copy of its checklist with his application, but that rather than give him the opportunity to correct his application, his application was rejected. The Applicant acknowledges that the Visa Officer may not always be under an obligation to inform an applicant of the deficiencies of his application, but argues that in the unique circumstances of this case, procedural fairness required that he be given some kind of opportunity to provide the missing documents, in view of the recent modification, which was only ascertainable by reading the extra bullet point. The Applicant notes the Officer’s explanation that the refusal to rectify his file came about because of the “reasonable expectation” that he check the new instructions, but argues that this was in fact unreasonable in the circumstances of this case. [There] may still be a duty on the part of a Visa Officer, in certain situations, to provide an applicant with the opportunity to respond to his or her concerns, in accordance with the rules of procedural fairness. [It] is clear that where a concern arises directly from the requirements of the legislation or related regulations, a Visa Office will not be under a duty to provide an opportunity for the applicant to address his or her concerns. Where however the issue is not one that arises in this context, such a duty may arise. 33 The Applicant argues that the requirements in this case did not arise from the Act or the regulations, which do not lay out any documentation requirements, but rather from a change in a specific policy. It would have been easy to give the Applicant the opportunity to rectify his application, especially as the Visa Officer was aware that he used the incorrect kit, and this would have satisfied the duty of fairness in the unique circumstances of this case. 34 The Respondent counters that in the Visa Officer decisions, the content of the duty of fairness when determining visa applications has been held to be towards the lower end of the range, as per Patel v. Canada (MCI), 2002 FCA 55, para 10, and Malik, para 29. Given that the Applicant must establish certain criteria to succeed in his application, the Respondent argues that the Applicant should assume that the Visa Officer’s concerns will arise directly from the Act and the regulations, and the onus remains on him to provide the correct documentation. Here, the Applicant was asked to submit a full application, including the documents listed in the Visa Office-Specific Instructions. The Respondent argues that the Applicant was specifically directed to use the 04-2009 Kit, and that this was available five (5) months prior to the submission of his full application. 35 The Applicant is correct in pointing out that the documentation requirements are not set out in the Act or the regulations, but only in the online instruction kit. While this Court did not find that Malik and Nouranidoust could support the Applicant’s first issue, the comments made by the judges in those cases (advising that new documentation ought to be allowed in certain cases) is persuasive in the context of the duty of fairness owed to someone in the Applicant’s distinct situation. It was clear to the Visa Officer that the Applicant was using the older kit, which had recently been changed, yet he was afforded no opportunity to rectify this simple error. Furthermore, the Respondent is incorrect in stating that the Applicant was specifically advised to use the 04-2009 Kit. The letter sent to the Applicant on July 28 (found as Exhibit B to the Applicant’s affidavit, Applicant’s Record p 31) simply directs him to the CIC website for “Visa office-specific forms and a list of supporting documents require by the Visa office”. There is no specific indication at all that these requirements would have changed. 36 The Applicant clearly stated in his request for reconsideration that he had used the old instruction kit. The Court finds that this should have been clear to the Officer making the initial decision, as a copy of the kit’s checklist was attached. Even with a low duty of fairness, in the specific circumstances of this case, that duty required the Visa Officer to consider the new documents. This case is by no-means precedential and has been distinguished in a few cases since. However, in my mind it creates enough of a model for a litigant to pursue recourse where guidelines are outdated and the applicant’s efforts to request reconsideration are refused without analysis. If IRCC were to create a central, publicly available database of changes and direct Applicants on all refusal letters to the database this could seek to remedy procedural fairness issue concerns. At the very least, it would certainly drive down the cost of litigation, encourage more collaborative dispute resolutions and overall is good to encourage more access to justice for self-representing applicants. The phrase “fettering discretion” found its way into two important decisions released today. In Trinity Western University v. The Law Society of British Columbia 2015 BCSC 2326 (“TWU-LSBC“), The Hon. Chief Justice Hinkson found that the Law Society of British Columbia Benchers incorrectly fettered their discretion by binding themselves to a ‘fixed blanket policy set by LSBC members in the form of a non-binding vote (at para 120). In Kanthasamy v. Canada (Citizenship and Immigration) 2015 SCC 61 (“Kanthasamy” ) the majority decision (penned by Justice Abella) found that the Immigration Officer had unreasonably fettered her discretion by avoiding the “requisite analysis” of s.25(1) of the Immigration and Refugee Protection Act (“IRPA”). The Majority found that the Officer’s adoption of the Citizenship and Immigration Guidelines of “unusual and deserved or disproportionate hardship” as a threshold for humanitarian and compassionate relief, without a proper assessment of best interest of the child, was an unreasonable application of IRPA s.25(1). What does it mean for an officer to fetter their discretion? What is the correct standard of review (or is it case dependent)? Fettering of discretion occurs when, rather than exercising its discretion to decide the individual matter before it, an administrative body binds itself to policy or to the views of others: Hospital Employees Union, Local 180 v. Peace Arch District Hospital (1989), 35 B.C.L.R. (2d) 64 (C.A.). Although an administrative decisionmaker may properly be influenced by policy considerations and other factors, he or she must put his or her mind to the specific circumstances of the case and not focus blindly on a particular policy to the exclusion of other relevant factors: Halfway River First Nation v. British Columbia (Ministry of Forests) (1999), 129 B.C.A.C. 32 at para. 62 [Halfway River]. While Gonthier J. referred to a minority of the members of a body, I see no reason not to apply the same reasoning even to a majority of the members of a body like the LSBC whose elected or appointed representatives are assigned a power that requires the weighing of factors that the majority have not weighed. There is no doubt, as this Court has recognized, that the Guidelines are useful in indicating what constitutes a reasonable interpretation of a given provision of the Immigration and Refugee Protection Act : Agraira, at para. 85. But as the Guidelines themselves acknowledge, they are “not legally binding” and are “not intended to be either exhaustive or restrictive”: Inland Processing, s. 5. Officers can, in other words, consider the Guidelines in the exercise of their s. 25(1) discretion, but should turn “[their] mind[s] to the specific circumstances of the case”: Donald J. M. Brown and The Honourable John M. Evans,Judicial Review of Administrative Action in Canada (2014), at p. 12-45. They should not fetter their discretion by treating these informal Guidelines as if they were mandatory requirements that limit the equitable humanitarian and compassionate discretion granted by s. 25(1) : see Maple Lodge Farms Ltd. v. Canada,  2 S.C.R. 2, at p. 5; Ha v. Canada (Minister of Citizenship and Immigration),  3 F.C.R. 195 (C.A. ), at para. 71. The learned chambers judge held that the process followed by the District Manager offended the rules of procedural fairness in four respects: he fettered his discretion by applying government policy…[.] These are all matters of procedural fairness, and do not go to the substance or merits of the District Manager’s decision. There is, therefore, no element of curial deference owed to that decision by either the chambers judge or by this Court. The Federal Court of Appeal refers to one case from this Court to support this point: Hilewitz v. Canada (Minister of Citizenship and Immigration),  2 S.C.R. 706. This case is not particularly helpful. It was decided before Dunsmuir v. New Brunswick,  1 S.C.R. 190, there was no discussion of the impact of a certified question on the issue of standard of review, and the parties asked that correctness be applied: para. 71. In any event, the case law from this Court confirms that certified questions are not decisive of the standard of review: Baker, at para. 58; Chieu v. Canada (Minister of Citizenship and Immigration),  1 S.C.R. 84, at para. 23. As the Court said in Baker, at para. 12, the certification of a question of general importance may be the “trigger” by which an appeal is permitted. The subject of the appeal is still the judgment itself, not merely the certified question. The fact that the reviewing judge in this case considered the question to be of general importance is relevant, but not determinative. Despite the presence of a certified question, the appropriate standard of review is reasonableness: Baker, at para. 62. I think eventually there will need to be two standards of review for fettering discretion cases. When an officer is fixated on the application of a policy or discretion that is narrower than the written law – I believe that the reasonableness standard should apply. For example, as in Cha v. Canada (Minister of Citizenship and Immigration)  2 FCR 503, the Officer unreasonably fettered discretion by adopting a narrower approach (not conducting a full analysis) in reaching a decision that legally flowed from the imputed act – the issuance of an s.44 report and subsequent deportation order. However, if the officer is fixated of a policy that is broader than, or even more egregiously, contradictory, to the law I think it becomes an issue of correctness. I think that a blanket relevant/irrelevant considerations analysis is broad for the purposes of a fettering discretion assessment (see: Gleason J’s judgment in Jia v. Canada 2014 FC 596 at para 68). 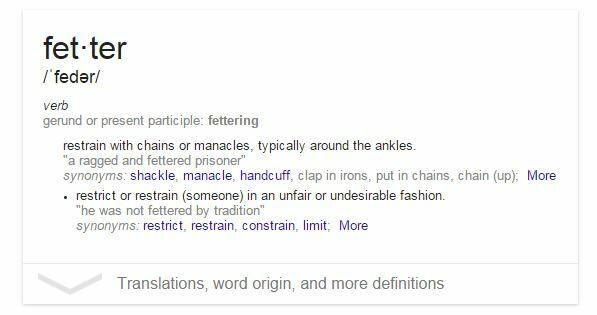 Regardless, expect “fettering of discretion” to receive more judicial play in the years to come. I know in the immigration context, several refusals (subject to litigation) are based on discretionary applications of policy and Citizenship and Immigration Canada-generated requirements rather than the plain-language of the law. Corresponding, you will likely see from this (if I were the government) more Ministerial Instructions and Regulations that codify existing policy. The reasonableness standard itself, where as long as balancing and factor consideration was arguably attempted is sufficient, may be enough to defend the decision-maker in those cases. Ps. for a great article on “fettering of discretion” in the Canadian administrative law context check out Professor Paul Daly’s 2014 post “Fettering of Discretion and the Reasonableness Test” here. Complex Immigration Scheme or Applicant in Impossible Position ? Particularly in cases where a bad faith relationship pursuant to r.4 of the Immigration and Refugee Protection Regulations is being alleged, Minister’s counsel may begin on a process of what I call “scheme formulating.” A process by which they will theorize the primary purpose of immigration as an elaborate scheme. First of all let me say flat out, I hate fake relationship schemes. As an immigration lawyer and someone who wishes to lawfully sponsor my genuine spouse down the road, nothing sickens me more than a fake sponsorship scheme. There are tons of companies out there that for a few hundred bucks can cook up a way to get someone into Canada – fake refugee claim, fake sponsorship. These individuals are the reason scrutiny is that much heavier on genuine applicants. Because of the knowledge of these schemes, inevitably some individuals with genuine sponsorships have their relationship labelled schemes. Particularly at the Immigration Appeal Division (“IAD”), the schemes end up making up a large part of the written decision. How is an application put in an impossible situation? It appears from a careful reading of the decision that the Board member was prone to speculation and disregarded significant portions of the evidence. For example, the Board member found that because the Applicant’s husband knew details about her life, including her address, that he “either memorized or read out the address of the applicant with its postal code in order to try to show he is knowledgeable” about her. Not only is this mere speculation, but it also puts the Applicant in an impossible situation: as was the case in Paulino v Canada (Minister of Citizenship and Immigration), 2010 FC 542 (CanLII), “[a] detail … that might support the genuineness of the relationship is turned around to support a negative finding because it is likely integral to a complex scheme of fabrication” (at para 58). In Sandhu, the IAD decision both the stated knowledge of the Applicant about the Sponsor as well as an Affidavit from the Applicant nothing that an “uncle” was a family friend (the Board Member concluded was her ex-husband) were disregarded. There is evidence that he has made provisions even now for the Applicant’s son. However, this is likely integral to the complex scheme the Appellant’s (sic) has fabricated; if he is to be believed, the full extent of which was not known to the Applicant. The panel finds that the couple’s shared knowledge, especially in the personal aspect of their lives, are not reflective of what one reasonably expects to be shared by a couple in a genuine relationship, who avers to be head-over-heel (sic) in love with one another. Based on the Officer’s approach, it is clear that the couple cannot win. A detail (here the provision that the Applicant has made for Mimi’s son) that might support the genuineness of the relationship is turned around to support a negative finding because it is likely integral to a complex scheme of fabrication. All of their supporting documentation, and even positive factors, are left out of account because they are, according to the Officer, part of a general scheme of fabrication. The Officer says that “their answer about their mutual feelings for one other and their plans are vague: nothing is specific.” Yet there was considerable documentary evidence before the Officer, some of it pre-dating the visitor visa application, that spontaneously reveals the couple’s mutual regard and love for each other. All of this evidence is discounted. Appellant provides financial support to Applicant (Canadian Spouse) – Sign of financial interdependence, but can be construed of evidence of ‘buying way into Canada’. Some of these situations have not yet ruled on by the Courts but I strongly believe they fit the mold (assuming the finding contributed to the the unreasonableness of the overall decision and tainted the overall reasoning). I think there are certain issues that will challenge the ability to rely on this decision as a blanket. First and foremost, the “reasonableness standard” still provides that the tribunal-member has discretionary jurisdiction to decide questions of fact. Decisions also generally will not be overturned on one or two unreasonable factual aspects if the decision as a whole is still reasonable. I believe that the difficulty will be in Counsel showing that the one interpretation of a positive primary purpose element as a negative primary purpose element had the effect of leading to the discounting of additional evidence which led to the negative finding. Every negative credibility finding and negative primary purpose element should be carefully viewed in context. Is that element strictly a negative factor? 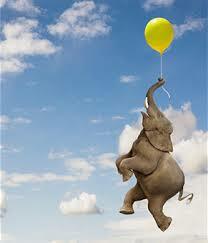 Can it possibly be a possible factor construed to place the Applicant in a positive situation? It may be a difficult argument to establish (given only a few judicial precedents), but it is one that becomes increasingly important as marriages, relationships, and the ‘bad faith’ scrutiny gets stricter and more complex. As a post-script, we used this argument in the above example involving bank accounts in recent Judicial Review and were successful. The decision was a brief one and it was only one of many factors the Judge considered, but we arguably ‘won’ on this issue. It has some legs for sure. As Canadian Immigration laws in Canada get tighter and tighter, it appears that judicial review (JRs) and immigration appeals work gets more and more important in the overall process of assisting an individual is coming to or staying in Canada. I’d like to provide my own quick summary of the processes and my own experiences in this piece. I will not delve very deep into the legal or procedural requirements in this post, it is more to summarize the process and highlight aspects I find interesting. As always, none of the below should be construed as legal advice. Who can do JRs and Immigration Appeals? Right off the bat, there are a few things you should know about Judicial Review. Aside from the individual themselves, only a lawyer called to a provincial bar in Canada can represent an applicant in this process. Immigration Appeals can be done by both lawyers and consultants. What are JRs and Immigration Appeals? 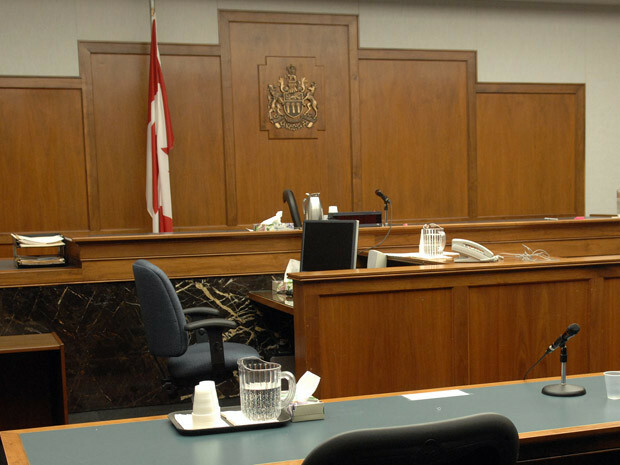 Judicial Review is an administrative law process where Applicants can ask the Federal Court of Canada (and in some jurisdictions other Courts) to review the decision of a tribunal or government-authorized decision maker’s decision (i.e visa officer, minster’s delegate, etc) on the grounds that it was either (1) unreasonable or (2) was incorrect and breached the Applicant’s procedural fairness. Where reasonableness is the standard of review, the Federal Court is expected to show deference to the Administrative Tribunal or decision-maker. Where correctness is the standard of review, there is no deference and Federal Court can replace the decision of the Administrative Tribunal or decision-maker. From my experience a lot of practitioners who aren’t as successful at obtaining leave for judicial review fail to put in the early effort into putting together a strong Applicant’s Record, including effective affidavits laying out the facts and a detailed memorandum of argument laying out the standard of review and legal arguments for why that the decision failed to meet that standard (be it reasonableness or correctness). One of the common flaws, as a Federal Court judge once expressed in a speech she gave, is a lack of facts to establish the factual basis and too much irrelevant case law to try and argue a point. When you start throwing in a dozen cases (without citing specific factual differences), you have a bunch of authority with no factual or casual link to your own case at bar. Judicial review is not, and I repeat is NOT, an opportunity to argue that the decision maker’s decision was wrong and that the decision maker should have done X or Y instead. As long the decisionmaker’s decision was within the ‘range of possible outcomes’ the Federal Court will not interfere with the decisionmaker’s decision. Even insufficient reasons in a decision is no longer automatic grounds for a decision to be unreasonable. After filing your Applicant’s Record containing your affidavits and memorandums, Minister’s Counsel (represented by the Department of Justice) will assign a counsel to your case. Minister’s Counsel can do one of three things after receiving instructions from their client : (1)They may choose to consent if the decision is prima facie in error or procedurally unfair; (2)They may also choose to file a memorandum in response opposing your application for leave and stating that there is no arguable case at leave; or (3) they make take no position. If Minister’s counsel does respond, you will likely need to make a further reply, in which you clarify your grounds and emphasize why you still have an arguable case at leave. The decision then goes to a Federal Court judge who decides whether or not to grant leave. Even though the threshold is quite low, Leave is granted in only approximately 30%-38% of all cases by latest estimate. If leave is granted, there is another round of affidavits and memorandums, with the Applicant being asked to file first. There is no final reply if Minister’s Counsel does file a Final Memorandum as at the oral hearing (statutorily scheduled no later than 90 days after the Minister’s) you will both have the opportunity to respond. 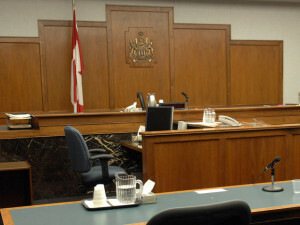 The Oral Hearing involves Counsel for the Applicant presenting their case first, discussing the unreasonable and procedurally unfair elements of a decision. Minister’s Counsel then makes submissions, followed by a brief opportunity for Applicant’s counsel to reply. In the case of a Federal Court Judge who is more passive, this may all go very much according to script. However, I’ve seen other Federal Court judges who very much want to engage on the issues and ask both Counsel questions to challenge their respective positions. Most decisions, that are not among the rare decided by oral order from the bench, are released by the Federal Court judge. This process can take several weeks to months. Usually, Applicants hear about their right to appeal in the refusal letter triggering the 30-day appeal window. Once an appeal is applied for a hearing date is usually set. One of the ongoing challenges right now is that it takes quite a bit of time to schedule a hearing, a problem that appears particularly bad in Toronto. For a client this delay may not be so bad. More time, in the case of a residency appeal, criminality, and even spousals is more time arguably to show that requirements are now being met and conduct has now improved. The most important part of an Immigration Appeals Division (“IAD”) case is that it is a hearing de novo. The member or panel that decides your case can take into account new evidence. However, there is a caveat in that this new evidence still has to go to the reasonableness of the correctness of the decisionmaker’s decision at the time it was made. From what I have seen, recent circumstances and improvements in situation DO play a big factor into decisions, often times in the equitable jurisdiction (Humanitarian and Compassionate Grounds) that the Member can consider. During the Immigration Appeals process, there are several opportunities for the Appellant (Applicant or Sponsor, in spousal appeals) to make disclosure to Minister’s counsel (and vice vers). These disclosures can contain letters of support, photographs, and other evidence that supports the case. I have also seen counsel use the opportunity to provide written submissions as to the merits of the case. Rule 20 of the IAD Rules also provides for the potential of seeking Alternative Dispute Resolution. The IAD may seek ADR in specific cases, while in other cases it may be negotiated with CBSA during the period leading up to the appeal. At an ADR, a Hearings Officer may question the Appellant and may offer to consent to the appeal. If consent is not reached, a full hearing will follow. Immigration Appeals involve the direct examination and cross examination of key witnesses to the situation being challenged on appeal, followed by legal submissions (if necessary). The opposing counsel will likely be a Hearings Officer representing either CIC or the Minister of Public Safety and Emergency Preparedness. Hearings Officers vary from the very understanding to the very critical, and the position they take (and possible willingness to consent) is very crucial to the final outcome of the case. If Judicial Reviews are all about Standard of Review, Immigration Appeals are all about the facts. Counsel will need to work with Applicants to ensure all the relevant facts are brought to the table, particularly those that contradict what the decisionmaker found. It is also key that all witnesses are credible and on the same page factually. Assessing an individual’s credibility is ultimately a guessing game, but many of the factual inconsistencies that go to a negative credibility finding are more readily apparent. Needless to say Immigration Appeals take a lot of preparation and require a good, honest client-counsel rapport. There is a distinction between Judicial Review and Immigration Appeals. There are cases where you have the right to appeal to the Immigration Appeals Division (where in almost all circumstances you must exhaust the appeal before exercising your right to judicial review), cases where you do not have the right to appeal to the Immigration Appeals Division and therefore can only try to judicial review the decision. The IRPA [Immigration and Refugee Protection Act] provides two levels of review of decisions made under the Act: review by way of statutory appeal to the IAD and review by the Federal Court. Pursuant to section A63 (as limited by section A64) sponsors, visa holders, permanent residents and protected persons have a right to appeal adverse decisions to the IAD. In all other cases, where no statutory right of appeal exists or those rights have been exhausted, there is a right to seek judicial review of any decision made pursuant to the IRPA by filing an application for leave and judicial review to the Federal Court pursuant to A72(1). Section 64 of IRPA sets out there is no appeal for inadmissibility in security, serious criminality (more than 6 months imprisonment), and misrepresentation cases. There is also a difference in both forums if you win. Generally speaking, when you win at the Immigration Appeal Division the Member will make some sort of order: “the Applicant has not lost their permanent resident status” or “the Applicant’s marriage was found to be genuine and not-entered into primarily for the purposes of immigration.” In these cases, Applicant’s may still have to file a new application or have their application go back into processing. While it is not legislatively firm in writing, from a CIC policy perspective the IAD decision usually has quite a heavily influence in the case being re-decided. In a Judicial Review, there is an acknowledgement that the decision was unreasonable or procedurally unfair, but in most cases it will be returned to a different decision-maker for reconsideration. While Minister’s Counsel may guide their client’s in some way as to why their previous decision was flawed, the visa office or post is not influenced by the Federal Court decision nearly to the same way it is by an IAD decision. A good example of this is in cases where the insufficiency of the reasons contributed to the unreasonableness of a decision. In this situation, a visa officer can issue another refusal this time with more complete grounds for refusal or a separate, unrelated ground for refusal. In terms of engagement level, digging deep into a case, Immigration Appeals and Judicial Reviews are the forum to do so. In Appeals, I find that this digging occurs factually. Effective counsel, through good questioning technique, can suss out the contentious factual issues which led to the refusal and use new facts or clarified facts to bolster the case. Meanwhile, Judicial Reviews are all about the legal analysis. Standard of Review arguments are getting more challenging – the line between reasonableness and unreasonableness ever so fine. Many times, judicial reviews also involve an in-depth level of statutory interpretation and case law research which is about as high-level immigration law as you can get. Hope you enjoyed this piece about my two (arguably) favourite parts of immigration law. I’d love to help anybody currently in one of these forums and needing advice!